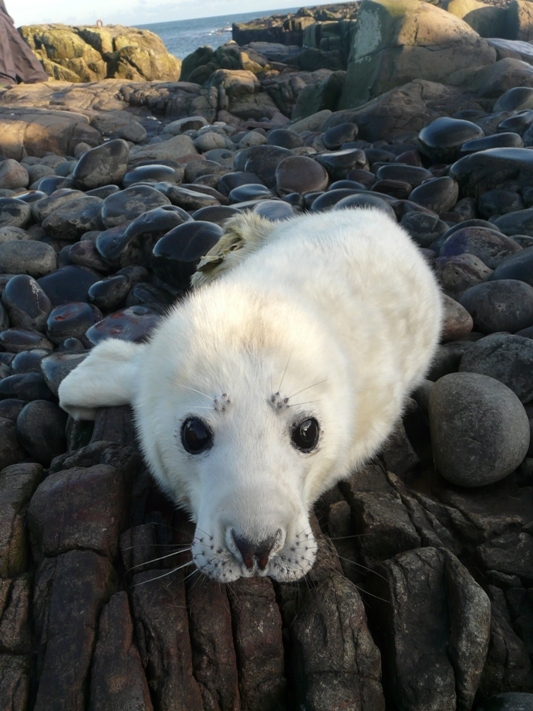 Thursday 17th September comments: Autumn has officially arrived; we’ve got a Seal pup! The first Grey Seal pup of the autumn has been born on the Isle of May, three days earlier than the first last season. The Isle of May supports one of the largest Grey Seal colonies in the UK with 2,400 pups born annually between September-December and this is the first of many. Early indications suggest the pup is healthy and we hope to have many more over the forthcoming months. As always we’ll keep you posted with all the latest news from the Seal colonies as numbers increase and more pups are born.